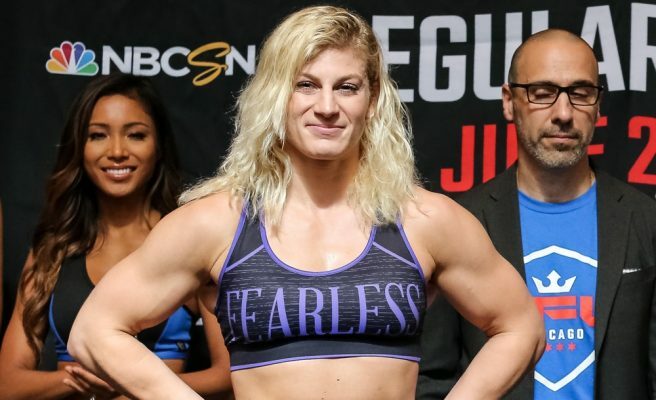 Kayla Harrison was no less dominant in her second professional fight although she had to go to the third round this time around to get the job done. The two-time Olympic gold medalist made her second appearance in Professional Fighters League on Thursday night after picking up her debut win just a few weeks ago. 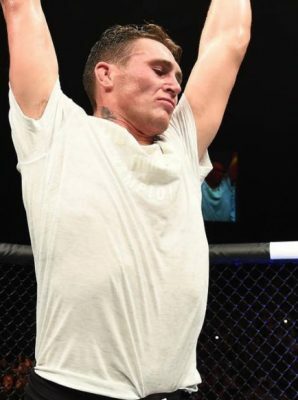 This time around, the Ohio native faced off against 8-1 lightweight Jozette Cotton, who promised to test the chin of the multi-time judo champion. Harrison was eager to show off some of the new tools she’s been picking up while training at American Top Team in Florida and she did manage to land a few good punches early including one stiff overhand left that came crashing down on Cotton’s chin. Of course, Harrison didn’t forget what got her to the dance in the first place as she ultimately planted Cotton on the ground with a perfectly time double leg takedown as she began to mount her offense on the mat. To Cotton’s credit, she managed to stave off a late arm bar attempt from Harrison towards the end of the first round but survive is just about all she was able to manage throughout the remainder of the fight. Finally in the third round after dominating through the first 10 minutes, Harrison planted Cotton on the mat and began unloading with a barrage of punches. Cotton had defended the ground and pound attack earlier but this time around Harrison was just relentless with her punches as the referee finally saw enough and stopped the contest at 1:24 into the third round. “Still trying to get all the issues out of the game plan but overall I’m happy,” Harrison said about her performance. Now 2-0 in her mixed martial arts career, Harrison remains one of the most talked about prospects in the sport where her biggest challenges may be finding worthwhile opponents as she continues to compete at 155 pounds. Still, Harrison is proving to be as good as advertised as she continues to show the evolution in her fight game after just two fights into her career.